Questoverseas: Migration of a different kind! 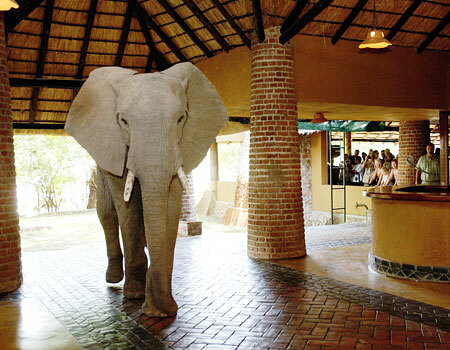 A lodge in Zambia's South Luangwa National Park was unwittingly built on the migration path of a family of elephants. Every year the family walks straight through the lodges lobby on their way find tasty to ripe Mangos. Elephants have strong family bonds, and are led by the matriarch to find new pastures and water. Elephants are almost hairless and remain cool by taking mud baths and flapping their ears. An average male can cool 25litres of blood in one minute with its ears. They are the largest land mammal however are almost completely silent went in motion due to their padded feet. According to one US research team in Namibia elephants sensitive feet are used to communicate through vibrations.